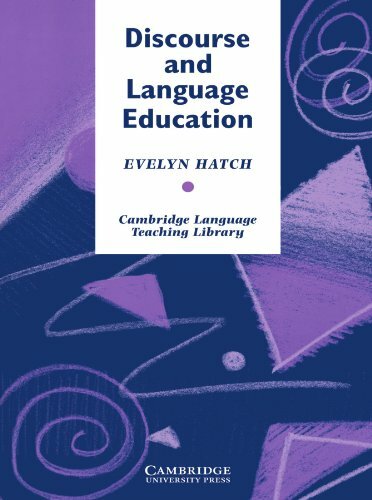 Discourse and Language Education is part of the Cambridge Language Teaching Library series. Discourse analysis describes how such communication is structured, so that it is socially appropriate and linguistically accurate. This book gives practical experience in analyzing discourse and the study of written language. The analyses show the ways we use linguistic signals to carry out our discourse goals and the differences between written and spoken language as well as across languages. This text can be used as a manual in teacher education courses and linguistics and communications courses. It will be of great interest to second language teachers, foreign language teachers, and special education teachers (especially those involved with the hearing impaired).